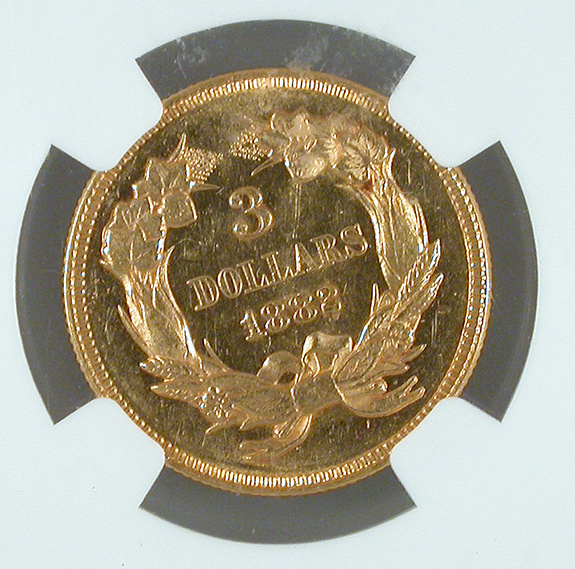 This a fantastic example of this rare date $3 gold. Certified as an MS-62 Proof-like by NGC these are seldom available in mint state, let alone proof-like. 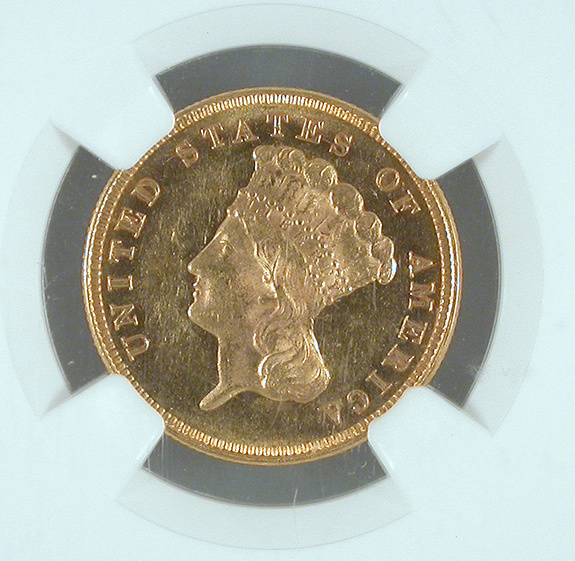 NGC population of only 6 coins.